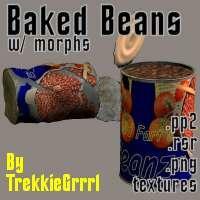 A bean can with morphs to open the lid, and make it more or less dented. Beans are included. Beans Beans the magical fruit the more you eat the more you toot.